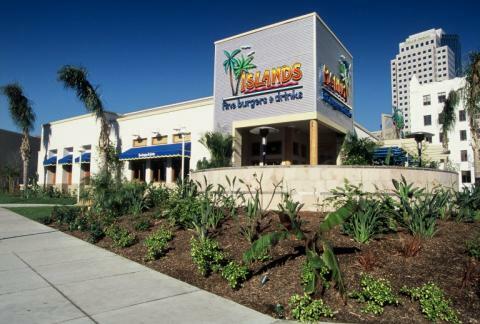 Visit our Long Beach Islands Restaurant located in The Pike, across from the Convention Center on South Pine. 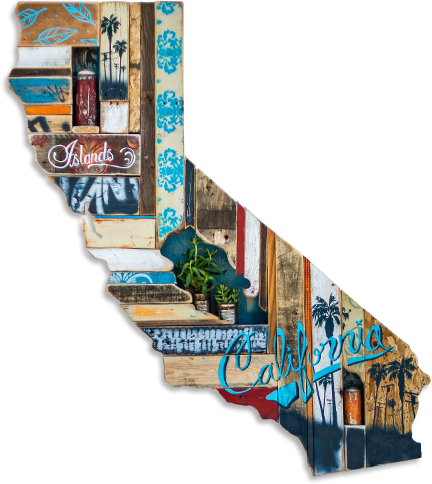 Enjoy patio seating for the best burgers and fries in Long Beach. Or sit indoors and watch our surf videos on TVs throughout the restaurant or watch sports in our bar with a burger and cold brew. Islands offers happy hour during the week from 3pm to 6:30pm in the bar with great deals on beer, wine, appetizers and tropical drinks.